DrummerTracks Series, Virtual Drum/Percussion from IK Multimedia. IK Multimedia and Sonic Reality recently introduced DrummerTracks - a new series of style-based full-length drum backing tracks performed by top studio drummers. Unlike loops, DrummerTracks are full song drum tracks, recorded by Sonic Reality, and designed for use as play-along tracks for the AmpliTube range of software and mobile apps. 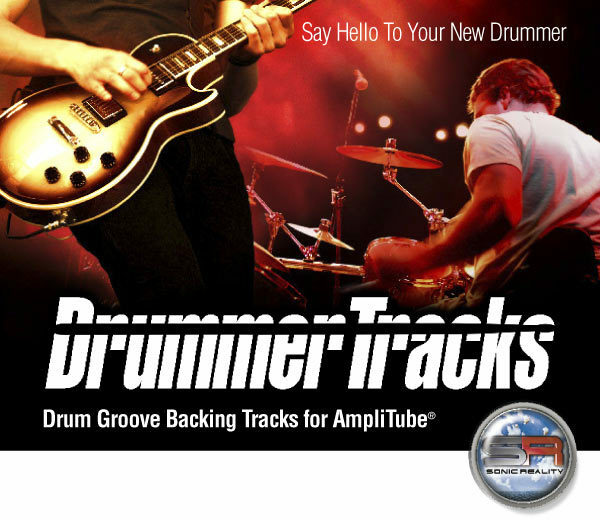 DrummerTracks offer guitarists, bassists and other musicians a new way to play along with drum grooves. Unlike other play-along grooves, DrummerTracks have been produced to sound like classic albums of yesterday and today, capturing the nuances of the performance and providing the real feel of playing with a live drummer. A variety of styles ranging from Classic Rock to Progressive Rock to Blues, Jazz, Funk, Soul, Country and more are available. Fills and variations for verses, choruses and/or challenging jam sections happen automatically. 3 ways to use them: You can import DrummerTracks into the AmpliTube SpeedTrainer section in the standalone versions for Mac/Win; load them into the songs or recorder sections of AmpliTube for iPhone/iPod/iPad; or import them to a track in your DAW sequencer. Registered users of AmpliTube for Mac/Win and AmpliTube Mobile products (currently AmpliTube for iPhone/iPod Touch and AmpliTube for iPad) will receive one Free DrummerTracks audio file in their IK User Area to experience the difference a full- length drum track can make on their playing and composing. 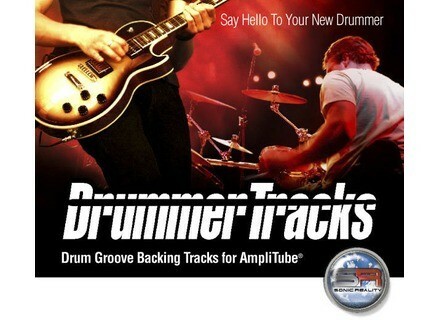 DrummerTracks titles are available for $29.99 / €19.99 each (excluding taxes). DrummerTracks may be purchased through the IK Online Store or from selected distributors and dealers in the multi-box format. Imperfect Samples Player Imperfect Samples has announced the release of the Imperfect Samples Player, a universal VST / AU player for all Imperfect Samples libraries.